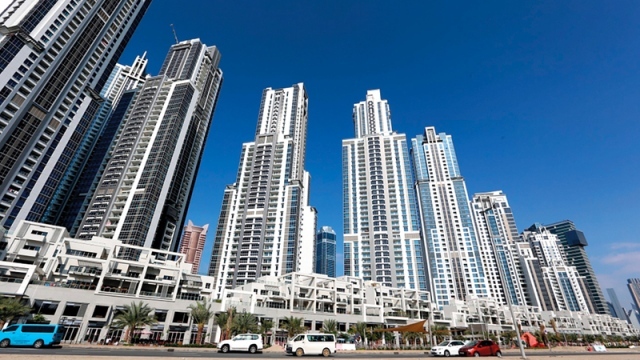 Last week, real estate transactions in the Dubai Land Department generated more than AED 2.2 billion. According to the department's weekly report, 632 shares were sold at a total value of AED 1.2 billion, of which 156 million were sold for land valued at 600 million dirhams, 476 were sold for apartments and villas worth 600 million dirhams, and mortgages were valued at 1 billion dirhams. The most important land sales were AED 110 million in the Wadi Safa 5 area, followed by the sale of AED 24 million in the fourth Al Thaniah area and AED 22 million in the Palm Jumeirah area. Al-Habia III topped the list with a total of 47 million shares, followed by Al-Yafra 2 with 34 million dirhams and a third in Wadi Al-Safa 5 with a total of 21 million dirhams. The most important sales of apartments and villas were the sale of AED 16 million in the Burj Khalifa area, followed by the sale of AED 15 million in the business district and the AED 8 million sale of Dubai Marina. Worsan Al Oula led the region in terms of the number of sales of apartments and villas, with 50 sales of 21 million dirhams, followed by Sheikh Mohammed Gardens with 49 sales of 65 million dirhams and a third in Al Barsha South Fourth, Million dirhams.